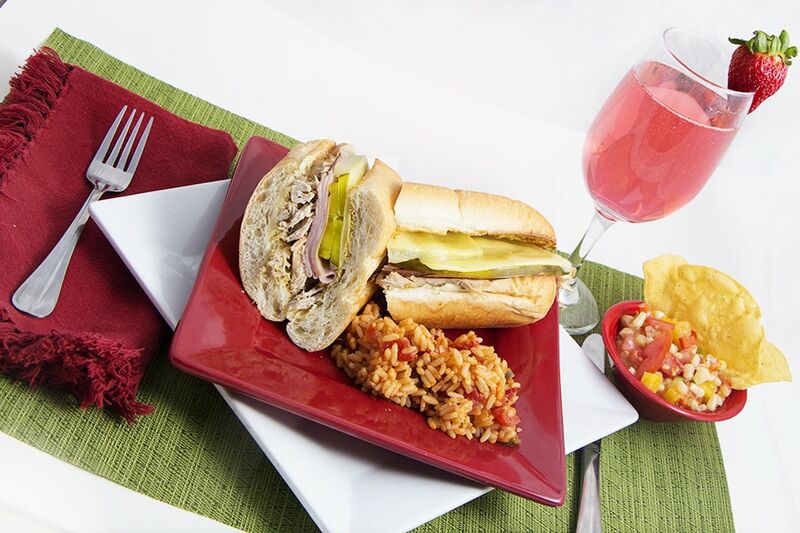 Cuban Pork Sandwiches have a zesty blend of flavors that your palate will just love. I often think that recipes are complicated because of multiple ingredients or too many ingredients. This sandwich definitely fell into that category. It just seemed like too much work. Boy was I wrong! 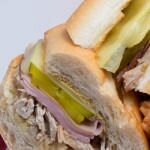 I can’t believe how easy this sandwich is to throw together and it’s so much better than a plain pulled port sandwich. WOW, the flavors burst in your mouth and you will go back for a second I promise. Start by using the base ingredient of Shredded Pork. Again, remember that if you haven’t made this in advance, don’t worry. Throw it into a crock pot and get it going. The ingredients are pretty simple and trust me, using a Dijon mustard does make a difference. I prefer to toast the bread first. So I add a little butter to each piece and throw into the oven under the broiler for a few minutes. Then I squeeze some Dijon Mustard on the bread. Now, I am NOT a mustard fan at all. I was skeptical when I first tried this recipe but I decided to jump in and go for it! Whoa! The blend of flavors became a little party in my mouth. It was so delicious and full of flavor I loved it! 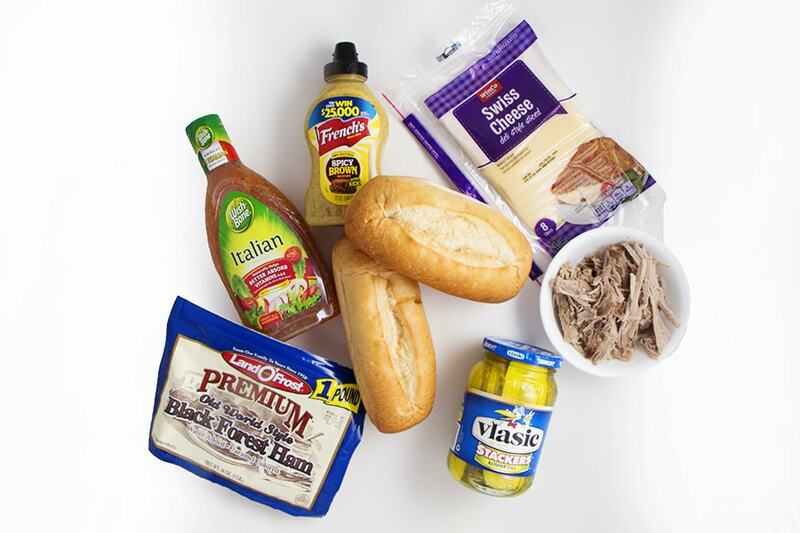 In my house the Cuban Pork Sandwich has some variation for each family member. 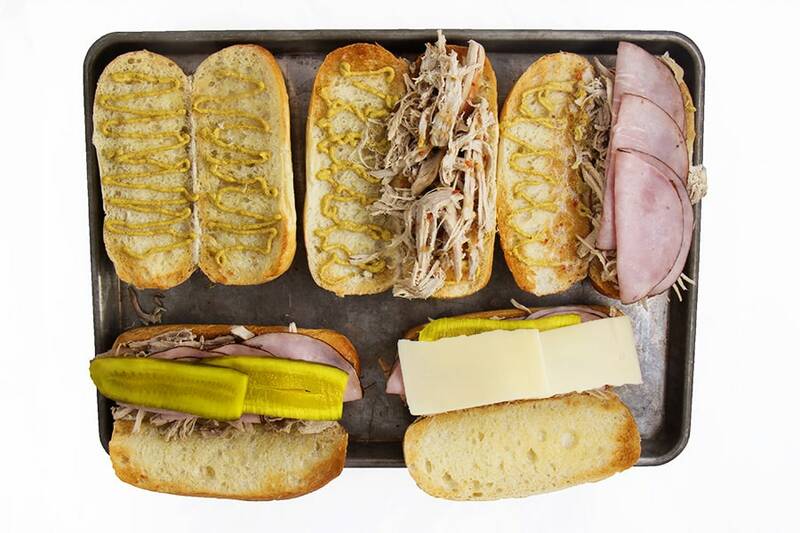 So go ahead and customize your sandwiches and make sure everyone gets the flavors they like. Once the sandwiches are made and cheese is on top, I will throw them back in the under to broil and melt the cheese. It warms everything up so nicely and is the perfect finishing touch for this sandwich. 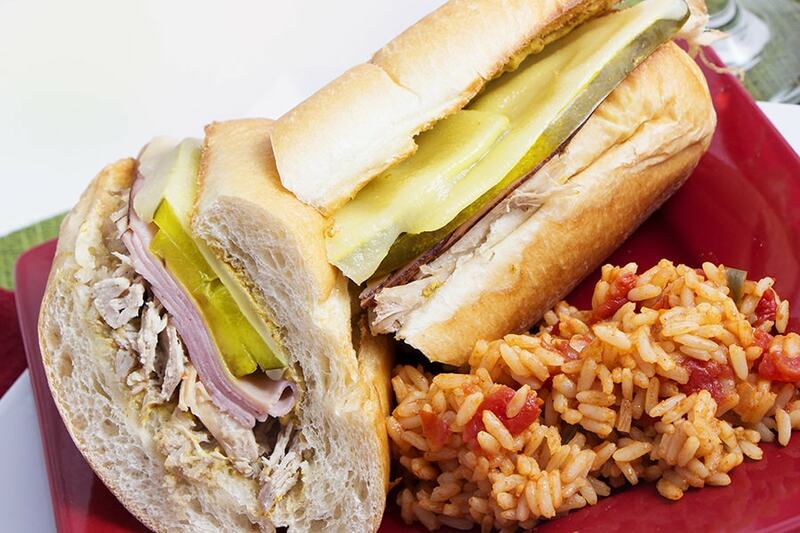 Serve the Cuban Pork Sandwich with Spanish Rice or some Zesty Fresh Salsa. Any way you choose to serve, you won’t regret making this for dinner! Slice hoagie rolls and lightly butter. Place rolls in over under broiler to toast 2-4 minutes or until lightly toasted. Remove from oven. Put Dijon mustard on each roll and top with shredded pork and ham. Drizzle Italian Dressing over meat and bread. Place pickles and Swiss cheese and place back into the oven under broiler to melt cheese for 2 -3 minutes. Watch closely as the cheese will melt quickly. *optional Saute sliced onion with some butter until transparent. Add to sandwich. So good!